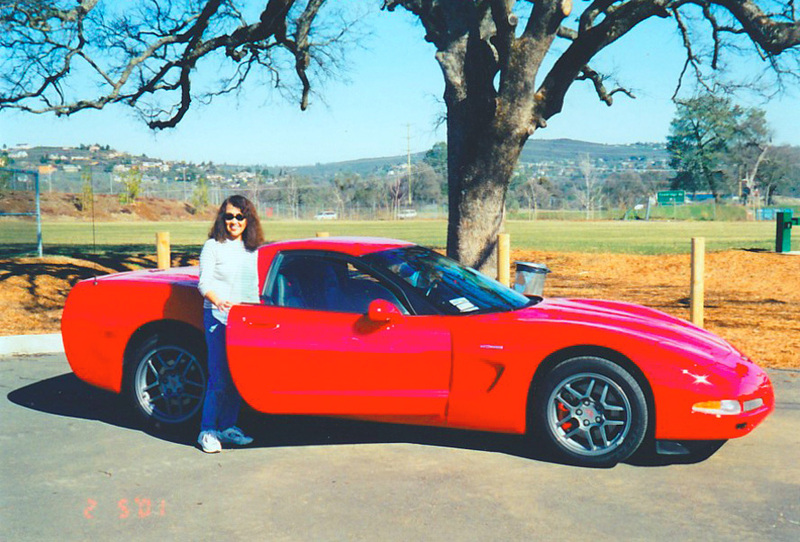 I finally got my RED Corvette! 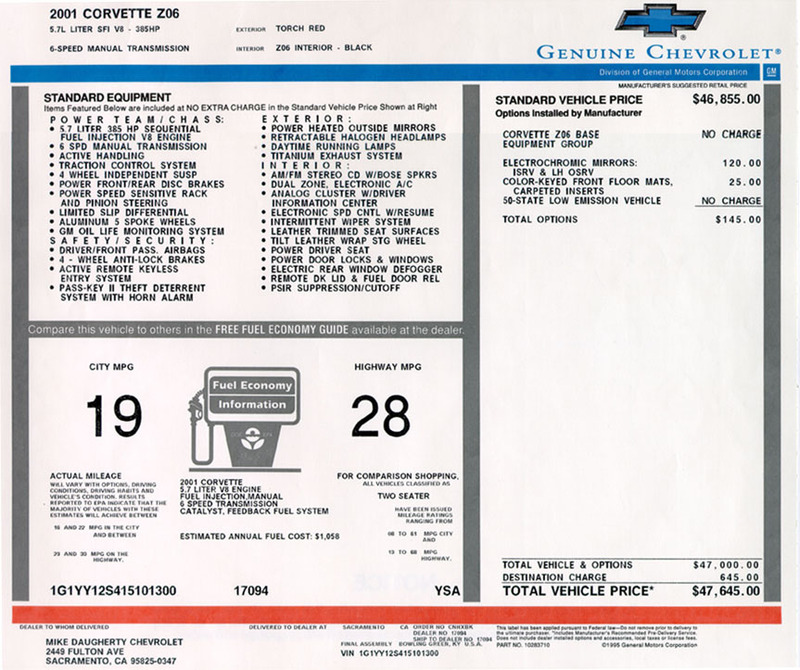 The C-5, introduced as a 1997 model is the fifth generation Corvette. 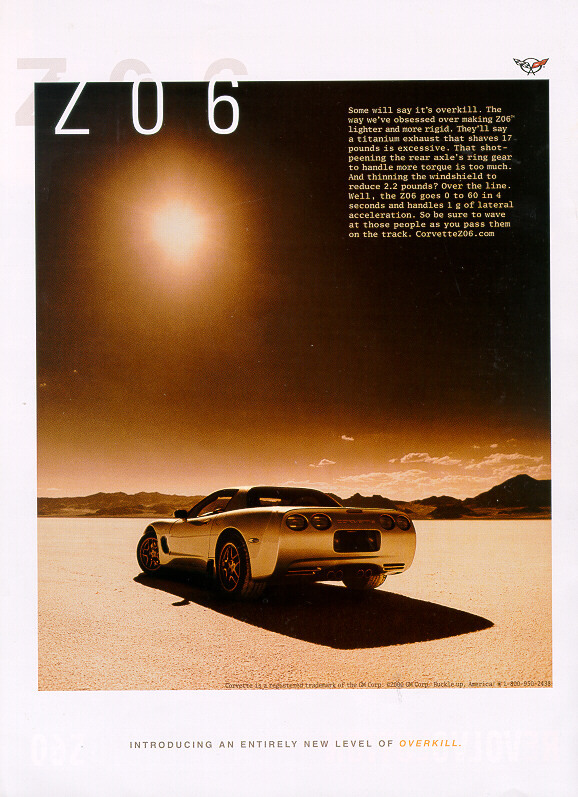 It was the most advanced, sophisticated Corvette available until the C-6 made its appearance on showroom floors in late 2004 as a 2005 model. My 86 C-4 was an order of magnitude better than my 69 Stingray, a C-3, or now more commonly called "Shark", and this 2001 C-5 is faster, tighter, and better than the C-4. The C-5 was ALL new. No parts were held over from previous models. 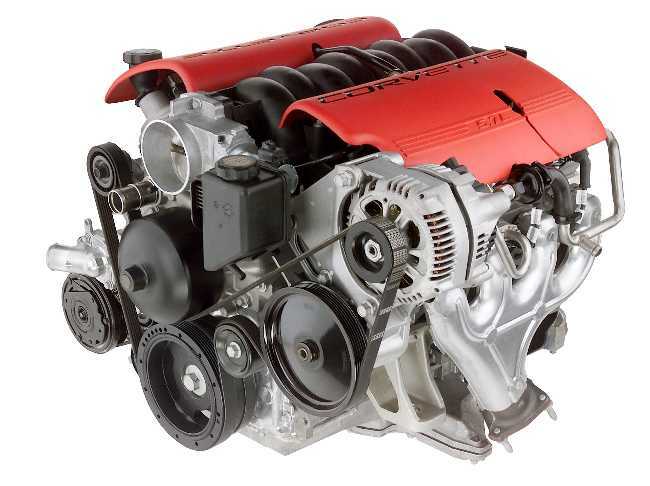 Even the engine, though still a small block V8, is entirely different than the original small block, and is all aluminum. It has a six speed transmission - the first four gears are very similar to a normal four speed from the 60s. Fifth is a mild overdrive to enable the car obtain its top speed, and Sixth is a taller overdrive gear, to help acheive an EPA highway rating of 28 mpg. Acceleration in fourth gear at normal highway speeds is simply phenomenal; an amazing rush that can startle an unsuspecting passenger. The transmission is in the rear with the diff., forming a transaxle, for better wieght distrubition, and more passenger room. 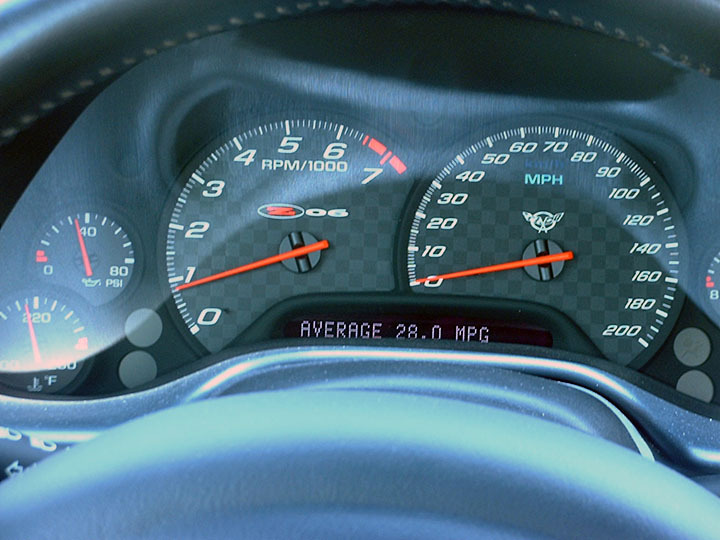 The Z06 is the "hot rod" Vette, with 385 hp, 35 more than the standard Corvette. It has wider tires and wheels, different transmission ratios, and only comes as a hardtop for greater chassis ridigity. 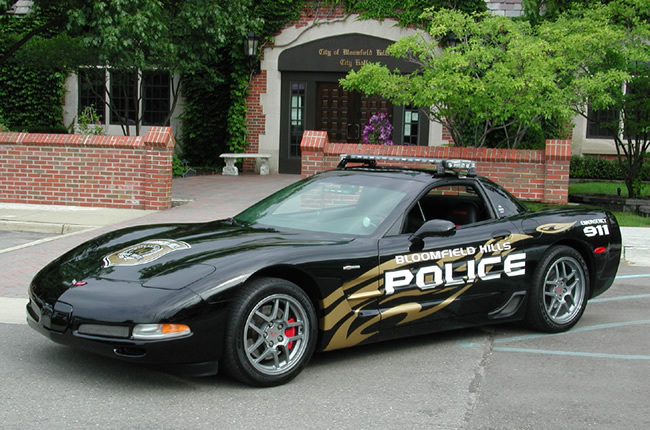 It's also about 100 pounds lighter (mine weights 3120 pounds w/ a full tank of gas) than the standard Corvette. Of course it has ABS (anti lock brakes), traction control, and active handling. It's a performance car, with luxury features like dual zone climate control, cruise control, Bose sound system with a CD player, etc. Top speed is supposed to be 171 mph, but I have only gotten this one up to 140 mph in fifth gear on a secret two lane highway. Ann was my witness! 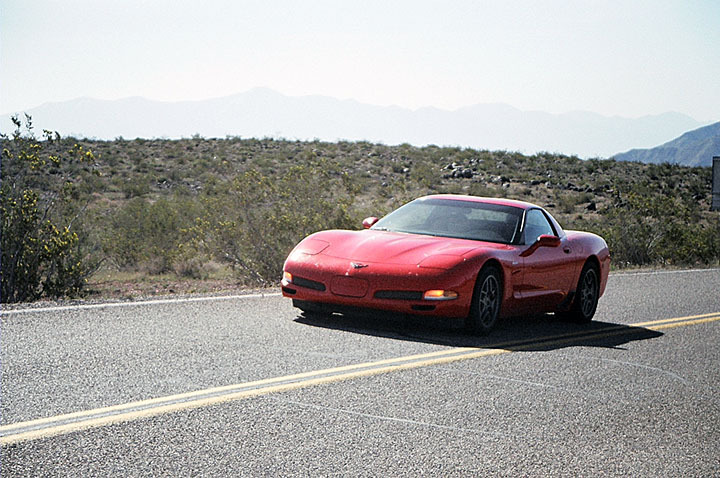 If you have ever driven a C5 Corvette, you will recognize this poor attempt to mimic the startup message in the Dirver Information Center - DIC. Highway MPG noted on the window sticker. Perhaps you think I'm crazy to compare this car to a 50 year old Jaguar, but they have more in common than you might think! All Corvettes are Red! The rest are just mistakes. This refers to the book, All Corvettes Are Red, sub-titled, Inside the birth of an American Legend, by the late James Schefter. The title is taken from this story: The one-millionth Corvette would be built in the next year or so and be painted in the old shop (St. Louis). At an earlier meeting, a discussion of paint quality and paint colors for future years of Corvette had dragged on so long that John Heinricy, then leading Corvette's development group of test drivers, could take it no longer. "Why are we even having this discussion?" He asked. 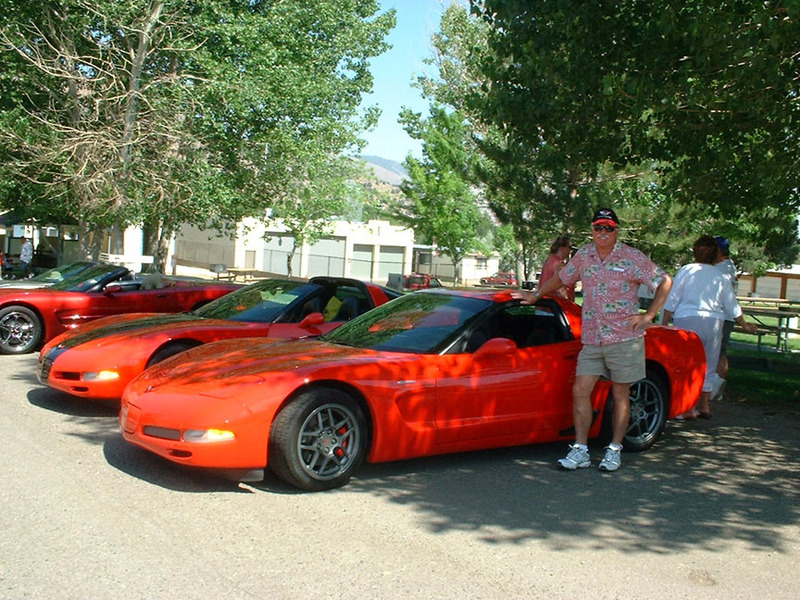 "All Corvettes are red. The rest are just mistakes."